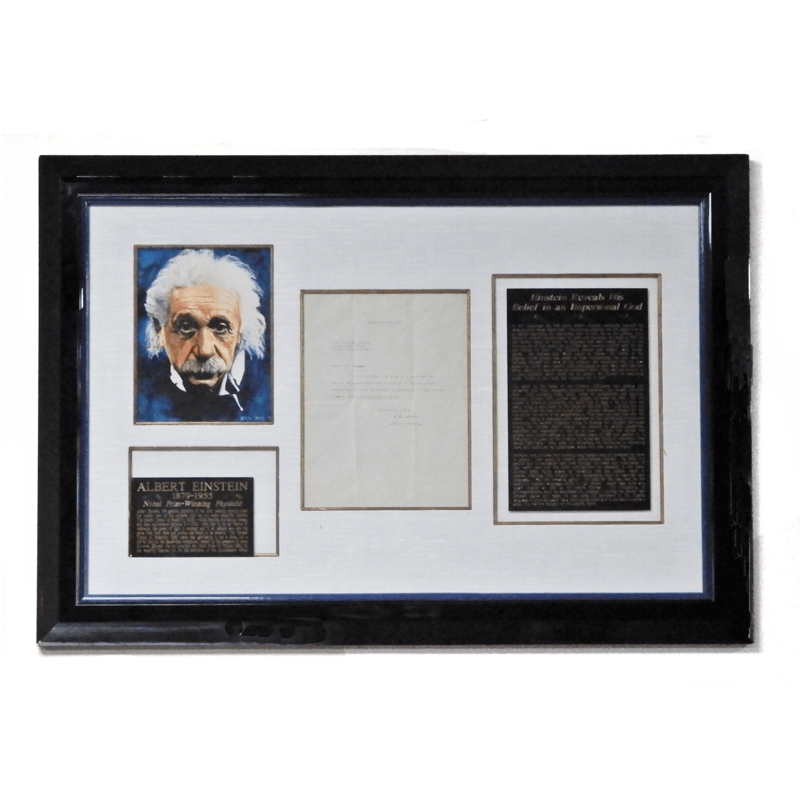 Albert Einstein Signed Letter. 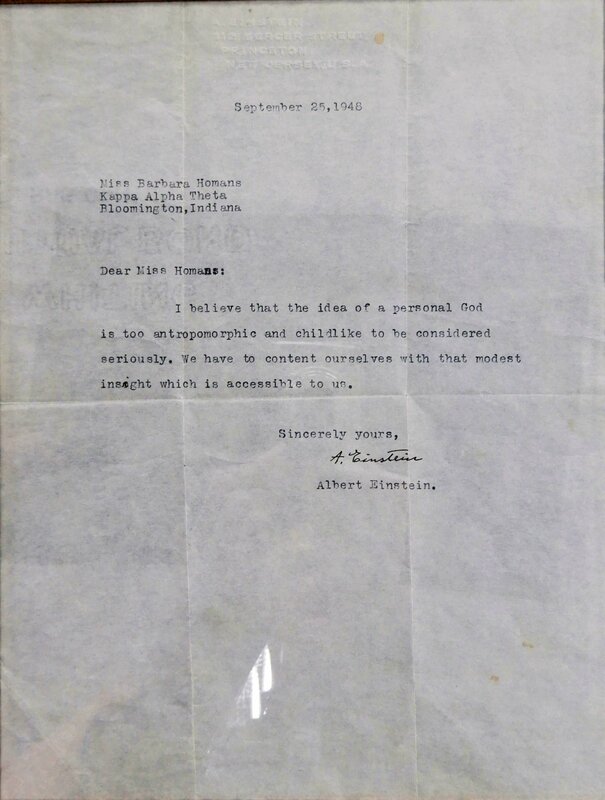 This authentic letter, revealing Einstein’s alleged belief in an impersonal God, was typed and signed on April 9, 1941 by one of the most well-known scientists and Nobel Peace Prize winners, Albert Einstein. It was typed on his original letterhead, signed in his handwriting, and imprinted with the Princeton University seal. The frame measures 31.75″ x 22.75″, and the letter measures 9.5″ x 7.5″. Albert Einstein was a German-born theoretical physicist that became well known for his theory of relativity, which laid the foundation for atomic energy. Time Magazine named him the “Person of the Century”. 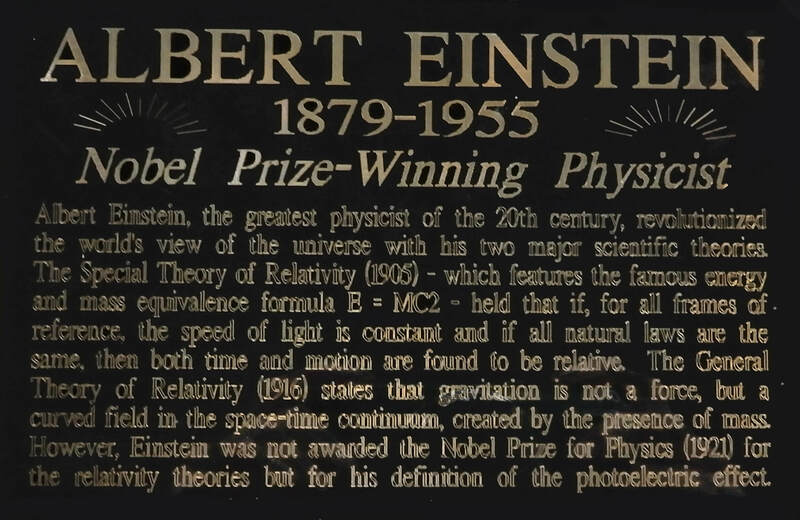 In wider cultural context, the name Einstein has become synonymous with genius.